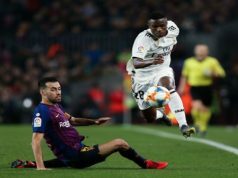 Real Madrid’s slim hopes of winning La Liga were ended in north west Spain this evening as they fell to a shock 2-0 defeat. 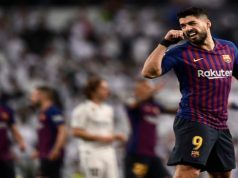 Needing to win and hoping for Atletico de Madrid and Barcelona to drop points, Los Blancos failed to do their part while their rivals both drew. Two horrible defensive errors either side of half time allowed Charles to scored perhaps the easiest double of his career. 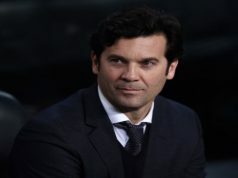 Real were deprived of the services of many first team players from the off, with Cristiano Ronaldo heading a long injury list. Angel di Maria, Pepe, Karim Benzema and Daniel Carvajal missed out, while Gareth Bale could only feature on the substitutes’ bench. There was a return to the starting line up though for Sami Khedira and Alvaro Arbeloa though. The visitors got off to the better start, with Marcelo flashing an effort just wide. But Luis Enrique’s men grew in confidence in the first half with Fabian Orellana looking to cause problems in the Madrid defence. In a fairly tight opening 45 minutes, Isco had the best of the chances for the vistors, his 35th minute effort brilliantly saved by Alvarez in the Celta goal. Alvaro Morata also went close just before the break and was made to rue his profligacy in front of goal as the host took the lead on the stroke of half time. Sergio Ramos, so often the rock at the heart of defence, slipped at the crucial moment, allowing Charles to round Diego Lopez and roll it into an empty net from a tight angle. Madrid came out fighting in the second half and Ramos thought he had made amends for his error when he had the ball in the back of the net, only for it to be ruled offside. Luka Modric also had a good chance to grab an equaliser, while Isco and Morata also tested Alvarez in the Celta goal. But as Madrid pressed, they left themselves open at the back. Just after the hour mark, Marcelo sold Diego Lopez short with a terrible back pass, allowing Charles to nip in a score his second. Although there were still 30 minutes remaining, Carlo Ancelotti’s men never looked like getting back into the match, and attention now turns to getting the team ready for the Champions League final on May 24.